Sensor mat, transmitter and pager to alert carer when someone has left bed, helping prevent falls and wandering. Can connect to multiple beds, ideal for use in care homes. It can be difficult for carers to always monitor their patients, particularly at nighttime. They may need to be taken to the toilet during the night, could fall out of bed or, if suffering from dementia, may be prone to wandering off. The more patients under your care, the more challenging it becomes to keep an eye on them all. There are bed leaving sensor systems available which alert you if someone has left their bed, helping you know when you are needed. Typically, these are designed to monitor a single patient. But what if you work in a care home or hospital, with multiple patients in your care? 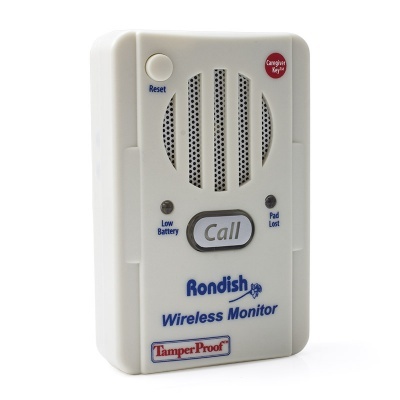 The Rondish Rise Bed Alarm Kit is unlike most standard bed leaving sensors in that it's capable of connecting to up to 99 different bed sensors. This means you can keep tabs on a large amount of patients at once, so you won't have to be constantly checking on them all. With the Bed Leaving Sensor Kit, you can ensure you'll be alerted exactly when you're needed. The kit consists of everything you need to monitor when a patient gets out of bed. You simply place the bed sensor mat under the mattress or bed sheet at pelvis height. 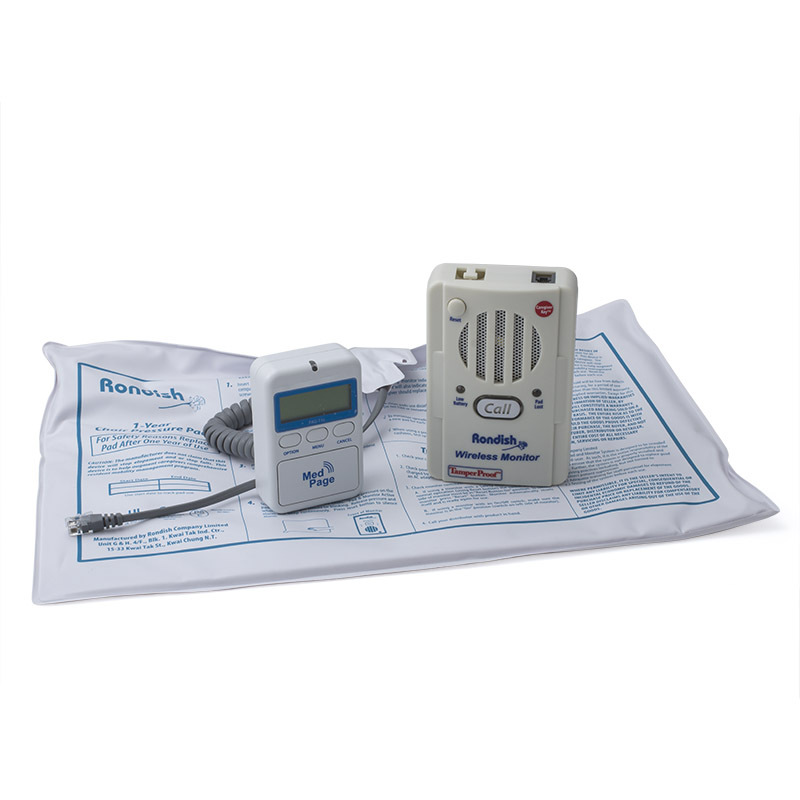 When the patient sits or lays down, the wireless transmitter acknowledges detection with two beeps. 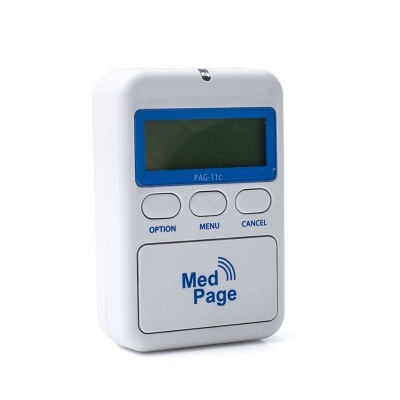 When the patient leaves bed, an alarm signal is sent from the transmitter to the pager receiver, which can be attached to the carer's person using the provided belt clip to ensure they'll never miss an alert. The carer will be signalled with sound or vibration, making it suitable for both the hearing and visually impaired. It also features a flashing LED light and will display which transmitter number is signalling. That way, if if you are monitoring multiple beds, you will know exactly which mat is being triggered so that you can quickly respond to the correct patient. If the mattress is very thick, or the patient is of a slight build, it may be necessary to place the sensor mat on top of the mattress covered with another bed sheet, instead of underneath the mattress. To ensure that the mat is functioning correctly, lie on the bed and then get up to check that the system is alerting as expected. 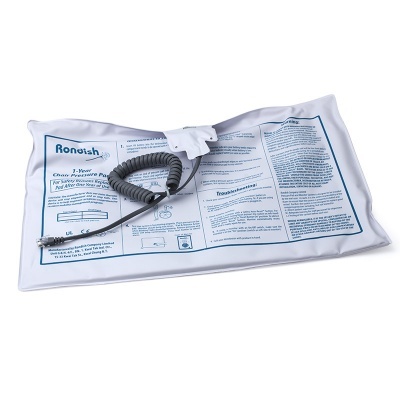 Please note that the main image of this product shows a chair pressure mat. This kit includes a bed sensor mat in its place.